Missed an issue of “Thrive”, our monthly newsletter? You’ll find them archived here! Interested in subscribing to “Thrive”? Click here to sign up. A diagnosis of Autism Spectrum Disorder means a major change in your child’s life, and your own. You may feel overwhelmed, left with no support, angry, that it’s unfair, or that it’s even your fault somehow (it’s not). In the next few issues of “Thrive,” we want to help you deal with those feelings. We’ll talk about a grieving process many parents undergo when receiving the diagnosis, ASD statistics, different cultural beliefs concerning autism, working with schools, public behavior, organizing a treatment plan, and more. The CDC’s “Autism and Developmental Disabilities Monitoring Network” has identified about 1 in 68 children with autism spectrum disorder (ASD). 1 in 68 translates to millions of children across the globe. Millions of parents dealing with this too. About 1 in 6 children in the United States had a developmental disability in 2006-2008, ranging from mild disabilities (speech and language impairments) to serious developmental disabilities (intellectual disabilities, cerebral palsy, and autism). Looking at statistics like these, we can say one thing: You are not alone. You are never prepared for a diagnosis of ASD. It’s a shock, and it will trigger intense feelings. Many questions will run through your mind. What will my family/friends/community think? What will our life be like now? It’s akin to a grieving process. The “old life” you knew must change. No going back. It’s unfortunate, but also inevitable. Give yourself time – time to work through your feelings, time to seek help, and time to adjust to the reality of what’s before you. Please be careful about denial. We’ve had families admit that despite their child’s behavior issues, they kept putting off getting a diagnosis because they just couldn’t face it. They even cut themselves off from friends & family. By the time they did get a diagnosis, the child was 4 years old, not speaking at all, and having severe behavior problems. Our families come from many different cultures. When it comes to autism, we’ve seen that different cultures have different perceptions of ASD. Some place a higher stigma on a child with autism (and their family) than others. Many parents of Caribbean descent expect their children to toilet train much earlier than Caucasian parents. But Caucasian parents expect their children to name their colors much earlier than Caribbean-descent parents. South Asian parents are more likely to identify delays in socialization than delays in speech. Caucasian families are more likely to detect general developmental delays, or regression in language skills, rather than social deficits. This suggests that clinicians should ask about both socialization and communication, if parents bring up concerns in one of these areas. A New York Times article, “Working to Combat the Stigma of Autism,” talked about Korean-Americans who cut themselves off from their community. In one case, this meant a boy with autism would not receive a diagnosis until 7 years old. What this tells us is, one’s cultural beliefs about autism can exert a strong influence on how you deal with it. Cultural Beliefs Affect Treatment Plans. Please Be Open about Them. It’s not our business to tell you what or how to believe. We’re only here to help your child, and help you with them in turn. We do know that cultural factors like traditional values, attitudes toward individuals with disabilities, religion, and language play a major role in the development and implementation of a treatment plan. All A is for Apple clinicians encourage parents to consider their cultural beliefs, and to understand how they may affect their involvement in their child’s treatment. We must have a good understanding of the child’s home environment before deciding on treatments. Success depends on a good relationship with you, the parent. Be prepared to fully disclose your beliefs and your concerns. Knowing everything we can about your child, and about where you’re coming from, is critical. It makes a big difference in your child’s diagnosis. Their treatment. And ultimately, your family’s happiness. If you or someone you know is afraid of an autism diagnosis, we encourage you—talk with an A is for Apple supervisor. We will do everything we can to answer your questions, and to help you work through those feelings. Remember – you are not alone. Next issue we’ll discuss the stigmas in more details, and how to deal with them. Tired of changing diapers? Wondering if your child is ready for potty training yet? To prepare for toilet training, you must first assess the child’s readiness. Consider these 3 areas when evaluating whether it’s time to start: Cognitive Signs, Physiological Development, and Motor Skills. Learning to label objects? At around 2, a child will learn to label bodily functions. Poo and pee are exciting new words. Developing body awareness? Child begins fidgeting, jumping up and down, or pointing dramatically to diaper or attempts to remove a soiled diaper. Does the child have the ability to voluntarily control the sphincter muscles, enabling them to “hold it” for a short period of time or until they get to a toilet? Does the child have long periods of dryness (for at least one hour)? Does the child exhibit signs of urinating or having a bowel movement (straining, squatting, pulling at pants, hiding in the corner, etc.) that allows you to know when they are eliminating? Can the child pull his/her pants up and down without assistance? Can the child wash and dry his/her hands? Can your child sit on the toilet and stay on the toilet for at least a few seconds? Can the child imitate the motor movements of others? If you answered “Yes” to most of these questions, then your child is probably ready to begin potty training! If you answered “No,” that is all right too. Ask your Program Supervisor and/or Clinical Director for their input. According to Dr. Joshua D. Sparrow (2004), the most important step is to let your child’s behavior guide you, and let the challenges become his/her own. You cannot speed up the learning process. Allowing your child to learn at his/her own pace is far more effective. If children are pushed to use the potty before they’re ready, it may take them longer to learn, and they could have more trouble along the way (bed-wetting, withholding bowel movement, constipation). You’ll want to make potty training a positive experience by reinforcing the child’s current abilities. Not uncomfortable, in which case your child may engage in escape/avoidance behaviors. The past 10 years have ushered in a whole new way for humans to communicate—using digital tools, like the iPad. Nowhere is this more impactful than for children (and adults) with ASD. The explosion of smartphones, tablets & e-readers created an incredible new way for those with ASD & speech disorders to learn and communicate. 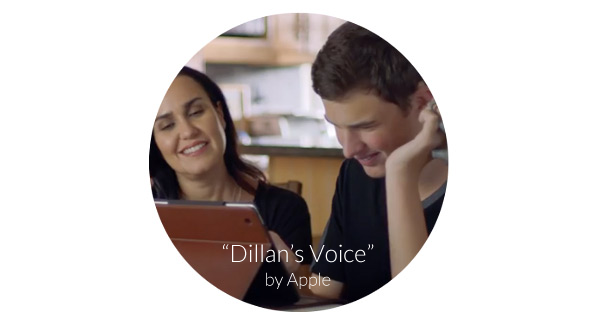 Through a single iPad, Dillan’s world has broadened. He can speak, and others listen. As an industry, we’re still getting a handle on incorporating these tools into treatment plans. The good news is, we do have plenty of tools to work with! Apps for education, communication, behavior regulation, etc. And of course, the iPhone. Some of our industry’s earlier, pre-digital tools (like visual schedules, flash cards, etc.) are now available in digital format. More arrive every day. If your child is drawn to using technology, that’s great! We encourage you to try out several digital tools with your child, and find which ones they’re most likely to use. If your child is socially anxious, here’s an idea to help calm them. Think about the self-checkouts at the grocery store. Or the Redbox kiosk. These have touchscreens, audio prompting, and simple visual interfaces…the same type of interaction you’d find in an iPad. Show these to your child if they’re anxious. It may help focus their attention. Whether it’s for learning, to communicate with you, or simply to comfort them in unfamiliar situations, the right digital tool can make their lives so much better. If you want to try out a digital tool or app in therapy sessions, please talk with your A is for Apple supervisor. We’re happy to show you all the tools at our disposal. Does your child like to communicate using a phone or tablet? Please share your story on the A is for Apple Facebook page! Last month, the A is for Apple team participated in the Autism Speaks 2016 Walkathon. History Park in San Jose was packed full of wonderful people! We had balloons and snacks for kids at our booth, and handed out lots of brochures. The whole team talked with parents, fellow vendors, and many curious visitors about autism awareness. Our friends from the San Andreas Regional Center even dropped by during their rounds. Our team participated in the walk as well. We had plenty of company—it’s great to see so many come out and show their support with us. A big thank you to everyone who came out! We raised close to $2,000 for autism research & awareness at this event. The whole team looks forward to next year’s walkathon! As children grow, the question of their future arises. Will my child be independent? Can they find work? We see many teens and young adults with special needs enter the workforce every year. There are additional challenges, but it’s not impossible at all. An excellent book about this topic is “The Autism Job Club” by Michael Bernick and Richard Holden. Published in 2015, the book sheds an important light on the challenges adults who fall within the autism spectrum encounter in today’s job market. We asked A is for Apple’s Senior Behavioral Program Supervisor to read the book and give us his thoughts. Here’s his review. “’The Autism Job Club’ brings to light the difficulties that adults on the autism spectrum experience when attempting to enter today’s job market. The good news is, it’s a much more welcoming job market than it used to be. The authors want to make it even better. “In this book you’ll find a number of tools, tips and resources which will help readers find a job. “Individuals on the spectrum, parents, and employers alike, will gain further affirmation that the individuals on the Autism Spectrum aren’t much different from other individuals in the job market. You must discover, nurture and market your skills, just like neurotypical job applicants do. “Individuals can find the support needed to rid themselves of the feeling that they don’t have a place in the working world. “Currently, many companies across the globe have taken up the charge to create and develop meaningful positions within their organizations for new employees on the spectrum. Global giants like SAP, Freddie Mac, Computer Aid and Microsoft, all recently began developing technical and software jobs suitable for these individuals. “In addition, new job opportunities occur in smaller industries, especially through large DIY and crowdsourcing communities worldwide. Now, individuals with access to basic technology can create business opportunities from the comforts of home. “Many obstacles do remain, but opportunities are opening up, thanks to the efforts of people and organizations across the globe. With resources like “The Autism Job Club,” the parents of ASD children can help their children to prepare for the challenges they’ll face in adulthood. These reviews come not only from parents, but from nonprofit directors & teachers too. As mentioned in the book, many businesses are adding jobs suited to workers on the autism spectrum. But how do you find them? More good news. Programs now exist to help you do just that. California’s state government and nonprofits have a number of job programs for teens & young adults. We’ve gathered some links to help you locate & apply for them. Also, a job fair is coming up later this month: “Pathways to the Future” Employment and Transition Fair on April 23, from 10am to 1pm. It’s sponsored by the SF Autism Society. If your child is younger, please save this newsletter for later. We hope the resources mentioned here provide guidance for their future. As always, if you have questions about preparing an older child for their future in the workforce, please ask your A is for Apple supervisor. Last year, A is for Apple participated in the Autism Speaks walkathon to raise money for autism research. The walk is back this month—Saturday, April 23. We’ll have a team walking, and a booth. Starts at 9 a.m. and goes to 1 p.m.
Visit our booth. We’re giving out tote bags, water bottles, balloons, and rainbow temporary tattoos for the kids. Walk with our team. Register to walk with us on our Team Page. Help us raise money for autism research! We hope to see you at History Park on April 23. Bring your walking shoes! We have one more topic for our Daily Routines series – getting dressed! So far we’ve covered hair brushing and getting a haircut, brushing teeth and visiting the dentist, and feeding at home and eating out at restaurants. We’ll finish up the series with getting dressed. “Dressing myself” is a milestone in any child’s growth. It takes patience and persistence to both teach the child, and for the child to learn everything they need. If the child has special needs, the sensory experience can make it even more challenging. Like all activities, repetition and reward go a long way here. Since how you dress your child teaches them how to do it, using the same methods over and over helps them learn a “proper” dressing routine. To make the process as simple (and repeatable) as possible, try these tips. Make up a picture chart on a big piece of paper. Tape it to the inside of the child’s bedroom or closet door. This serves to remind them of everything they need to do when getting dressed. If your child resists wearing a certain clothing item, offer them a choice of 3 items. This gives them a sense of control. Have your child stand against a wall or chair so they can balance while you dress/undress them. This also lets them watch what you’re doing. Divide your child’s wardrobe into different sections: School Clothes, Going-Out Clothes, Cleaning/Playing Clothes, etc. Then the child knows which clothes to select for which activity (and doesn’t go play outside in their school uniform!). If your child doesn’t like getting ready in the morning, try this: Before he/she wakes up, lay a set of clothes out on the floor, in the shape of a body. When they wake up, they see clothes laid out just like they’d wear them. Does your child sometimes put their socks or underwear on backwards? Try marking the front of the underwear with a laundry marker. For socks, you can mark the heel, or buy socks with colored heels. The Ernie Els Autism Foundation just got a million dollar boost! On March 7, 2016, professional golfer Rickie Fowler attended an event with several other pros. They all came out to support Ernie Els’ foundation. The challenge? Sink a hole-in-one with all eyes on him. The reward? One million dollars for the foundation’s research & education programs. A hole-in-one is hard enough to do on its own. A hole-in-one with a million dollars on the line? Now that’s a challenge! And Rickie did it. He sank a clean hole-in-one. What a great thing to do for autism awareness! Thank you to Rickie Fowler, to all those golfers who came out in support, and to the Ernie Els Autism Foundation for its good work. Autism Awareness Month coincides with World Autism Awareness Day, April 2. The entire month of April is dedicated to autism awareness. Businesses and charity organizations hold events and celebrations, like the Autism Speaks Walk (see the Local Events section above). You can help us raise autism awareness too! Here are some ways you can celebrate Autism Awareness Month. Change the lightbulbs in your home. Blue is the official color for Autism Awareness Month. You’ll find blue lightbulbs for sale at Home Depot and Target. These stores donate a percentage of the lightbulbs’ sales to autism research. Put a blue overlay on your Facebook photo. Here’s an easy way to do it: Autism Speaks Light It Up Blue Color Tool. Make a pin! We make pins every year to show our support for Autism Awareness. Several of our directors have theirs on, in the photo above. Here’s how you can make your own pins at home. Craft stores like Michael’s carry most of these items. Target carries plenty of puzzles. 1) Sort the puzzle into pieces you’d want for pins. Most will work fine, but some pieces (depending on the puzzle) won’t work right. 2) Flip over the pieces so the back side (non-colored) is face up. 4) Once dry, flip the pieces over to the image side up, and place them on the clean paper/area. Plug in glue gun. 5) Apply a small dab of hot glue to the image side of the piece. Arrange the pieces in the direction you would like the pin to be when worn. 6) Place one metallic pin backing into the hot glue dab. 7) Put the puzzle piece to one side, to cool. Repeat adding the pin backing for the other pieces. 8) Once all of them are finished & cooled, place them in a Ziploc bag. Hand them out to whomever wants them. Join us on the A is for Apple Facebook page this month! We’ll have announcements for awareness events you can attend. All A is for Apple employees must abide by our high ethical standards. We are helping your child thrive, a responsibility we do not take lightly. 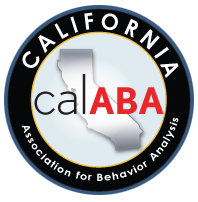 Which is why we were thrilled when Steven, one of our Clinical Directors, returned from February’s CalABA conference in Santa Clara with notes and experiences from eye-opening discussions about ethics in our field. Here are additional notes from some of the workshops he attended. “Strategies for Teaching Independent Play Skills for Children with Autism and Distance Training Procedures to Train Natural Change Agents” – By Thomas Higbee. The presenter showed how a child learned to play Hide-and-Seek using a binder, changing how it displayed different parts of the game until the child no longer needed the binder. “Extension of Functional Analysis to the Prevention of Problem Behavior” – By Tara Fahmie. The presenter focused on the importance of early intervention and recognizing problem behaviors. A family with a young child that starts showing potentially-serious behaviors needs to address them at that time. When the child gets older, the behaviors will only get more severe. “Functional Skills and Curriculum-based Assessments for Learners with Moderate-to-Severe Disabilities” – By Patrick McGreevy. Patrick demonstrated how to do a Tact (label) to Mand (request) procedure. A child may be able to repeat the label of an object, but not know how to use that label to request it. If a child CAN tell you what they want, it will benefit them now and when they are 60. None of us want children to wander off, but sometimes it happens. Because child safety is so important, we’re starting off 2016 discussing it. The good news is—there ARE things you can do right now. Both to keep your child safe, and to help you find a child who’s wandered off. Secure your home. Locks on all doors and windows, a security alarm system with open-door alerts, and a fence around your yard all help to prevent children from wandering away. In crowded areas like stores and sidewalks, always keep your child within arm’s length. If they are younger, encourage your child to hang onto your purse strap, pants pocket, or hand while in public. Talk to your neighbors. Tell them about any fears your child has, if they will respond to their name or not, and what to do if they see your child out alone. Create a handout with information about your child. Include a description, photo, your name, address and phone number. Keep these in your car, purse and wallet. If your child does wander, you can give these to safety personnel as a quick reference. Many of these tips you already know, and have likely done. Great! Prevention is always best. Now, let’s talk about ways to find your child if they do wander. When children wander off, they often get scared and have trouble communicating. If this happens to a nonverbal child, they can’t explain where they’re from at all. If this happens, the best way to help them is to track them. With a wearable tracking device. Wearable devices have one purpose: Help you find where a wandering child is. Most wearables use GPS technology to pinpoint where someone is. You use this technology in your car; it works just as well to find a wandering child. All you need is a wearable that sends a GPS signal, and a way to locate that signal. Here are resources to help you do exactly that. The first is the TRiLOC GPS Locator from iLoc Technologies. A GPS tracker worn like a watch, this device has won awards for putting technology to important use. You can use any computer to locate the TRiLOC. It also has an “SOS” button which sends an alert when pressed—and starts a voice call right away, so your child can tell you where they are. If your child doesn’t like things on their wrists, you still have tracking options! First, there’s clothing with pockets for a GPS tracker. This way you can still use a GPS tracking device, but it’s someplace where your child won’t fiddle with it all day. Turning their clothing into unique identification. A great place to find this clothing is Independence Day Clothing. Every article of clothing contains a pocket for a GPS tracker. Slip in a tracker from one of the suppliers listed below, and you have “ID Clothing”! 7 Tracking Devices to Find a Lost Child with Autism – Here’s a list of wearable devices for tracking someone who’s wandered off. Next, there’s a wonderful service called If I Need Help. The organization gives you both products and tracking help. “If I Need Help” does NOT use a GPS device. Instead, they give you a choice of items with a QR code on them: a patch for their jacket, a shoe tag, an ID card, a pin on their shirt, a bag clip, and more. If someone encounters a child who’s wandered? They scan the QR code with their phone, and get information on how to help the child. Even if your child cannot communicate, this product does for them. We hope this information proves helpful to you. One of our standing commitments is to help you keep your child safe, happy, and thriving. Local Events: Sensory-Friendly Star Wars! Does your child want to see the new Star Wars? Take them to a Sensory-Friendly Film this month! Saturday, January 9 at 10 am – AMC Bay Street 16 in Emeryville. Tuesday, January 12 at 7pm – AMC Cupertino Square 16 in Cupertino. See our September issue of “Thrive” for more on sensory-friendly films. For the next few issues of “Thrive,” we’ll devote our Autism Tips section to discussing Daily Routines – getting dressed, haircuts, brushing teeth, etc. Routines are extremely valuable to children with autism. They thrive on the predictability. Knowing what’s coming up gives them confidence and comfort. To make and stick to a daily routine, we often encourage the creation of a daily schedule. A great way to make a schedule is through picture cards. The picture cards show images of the things to do and places to go for the day. Of course, change is inevitable. If you have something that doesn’t happen every day, make up a picture card for the event. Or use a “question card” – a picture card with a question mark on it ( ? ) so you can explain to your child what will happen. For our first discussion, let’s talk about hair care. There’s a daily task—your child brushing his/her hair. We also have a regular, but not daily event—going to get a haircut. You can add brushing hair to their morning schedule. Children like to brush their hair. It’s soothing, an enjoyable tactile experience, and part of getting ready for the day ahead. However, going to get a haircut can scare your child. It’s a new environment, there’s unfamiliar noise, and something sharp is near their head! To prepare the child, show them a picture card and explain what’s coming up. If you have a photo of them getting a haircut before, put that on the card. If not, use the “question card” or show them images of other children getting haircuts. Bring along a toy or book you know calms the child, in case they start to cry or wiggle. Most kid’s hairstylists have a good eye for this, and will move the scissors away to avoid accidents. When the haircut’s finished, remind them they can brush their hair again later. This returns them to their daily routine, which should reassure them. This is a big question, with many elements involved. We’re happy to answer it, but we’ll split it into 2 issues, this month’s and next month’s. First, let’s run through how the IEP process works overall. An IEP (Individual Education Plan) is a special education plan tailored to your child’s needs. It may also involve additional services like SLP (speech-language pathology) or OT (occupational therapy). It all starts with a request. You or a school requests an evaluation for your child. The evaluation is to see if your child has a disability, understand their strengths & weaknesses, and make educational decisions for their future. Part of the evaluation is an assessment. This includes tests, medical reports, observations & interviews. You’ll be asked questions about your family, home environment, and the child’s behavior. The evaluation results will show if your child needs special education. Using the results, a group determines the child’s eligibility for special education & related services. If the eligibility decision meets your child’s needs, a team will write an IEP for the child. You are part of this team. That way you’re up to speed and ready to make decisions. Using all of this, the right placement is determined. Special education is a program, not a place. After the IEP team determines goals, they’ll talk about where the needed services are provided. Services may take place in your home, at school, or at a provider facility like ours. Once placement is arranged, that’s it! The IEP process is now set up and ready to go. Your child will begin receiving their individualized education plan. Next time we’ll discuss how you as parents are involved in the IEP process, and what your rights are. We started a toy drive in December to help the South Bay community. Thanks to the generosity of parents, A is for Apple employees and local friends, we collected 50 toys, gift cards and articles of clothing. The donations included sporting equipment, stuffed animals, a child’s basketball hoop, and assorted clothing for children ranging from toddlers to young adults. When we took the donations to Sacred Heart, we met with extremely happy volunteers. When they saw what we’d brought, many excitedly pointed out how helpful the young adult clothing and sporting equipment were. They don’t often receive donations for older children; everything we brought was sure to give some children a Merry Christmas. The holidays are upon us and typically that means increased activity in the home, travel, seeing friends & relatives you haven’t seen for months. New sights, sounds and smells. It all adds up to one big issue: changes to your routine. Changing routines often produces anxiety in children with developmental disabilities. Obviously we all want to avoid stressing our kids. To that end, this month’s “Thrive” newsletter is dedicated to holiday preparations. This article will talk about how to plan ahead and make the holidays fun for everyone. The following ideas come from a variety of sources: healthcare studies, ABA techniques, industry research, and our own therapists’ experiences. You can use any of them, or all of them. Rehearse with your child what to do during holiday events. Go over what they should expect when traveling to visit family, when decorating the tree, or when opening presents. This way they have an idea of the event already, and will feel calmer when it happens. If you are going to visit family or friends, make sure there is a quiet, calm place for retreat. Bring your child to some rooms in the house. They’ll indicate in which one they feel comfortable. Decorate Gradually. If your child has trouble with change, try decorating the house gradually. For instance, put up a Christmas tree one day, but wait until the next day to decorate it. Have them participate too. It gives them time to adjust, and they get to help out. When traveling, call the airline ahead of time & inform them your child has special needs. Most airlines will gladly work with you to keep your child calm and happy during the trip. If your child has any special dietary needs, make sure the airline knows in advance. Observe your child’s behavior during holiday gatherings. They may react differently than normal when they feel tired or stressed. If they display unusual behavior (for example—throwing objects or trying to hide), bring them to a retreat location for a few minutes. Make sure everyone’s needs are met. Holidays are family times; the whole family will have things they want to do. Remind your other children about their brother/sister’s special needs…but ask them what they want too. If traveling or visiting family, create a timetable for each day’s activities. Schedule meal times, one or more activities, etc. This provides your child with some structure, even in a different place. You may need to add extra details you don’t normally, in order to keep your child focused on activities and not on stress. The holidays are a time for us all to give thanks and spend happy times with loved ones. If you plan ahead and enlist the help of family & friends, the whole family will have a great time. Everyone at A is for Apple hopes you & your family have a Happy Thanksgiving! Does your child love touching objects? Make them Kinetic Sand! Its tactile nature provides a wonderful touch sensation for children. Making it is easy, and a fun project for kids to take part in. Here’s a low-cost recipe you can use. Put the sand in a container. Add corn starch, and mix it in thoroughly. In a separate bowl, mix the water & dish soap. Then add it to the sand. Mix it all together thoroughly, and enjoy! Store in a covered container when you’re done. Looking for a way to involve your child in holiday preparations? Try the cooking! Every holiday comes with lots of cooking. There are always some simpler cooking processes which children not only do well at, but love doing. For young kids who want to help with parts of the cooking process, start them off with simple “Play-Doh” types of activities. Mixing and stirring, for example. Here are some simple recipes that involve smashing, poking, cutting, rolling, etc. Great for kids to enjoy themselves AND make something delicious. Ask AIFA: How can I get my children to play together? When one child in a family has special needs, other children are naturally uncertain about them. Remember though, your children are curious too. Use that curiosity to initiate playtime. Set some guidelines first. Gather all your children and explain the behavior your special-needs child may display. Tell the children when it’s okay to leave him or her alone, and when it’s okay to hug them! Time your activities. Try a new activity for a short time, and see how everyone reacts. For instance, rolling a ball back and forth between two children. This is also a good way to introduce your special-needs child to new activities, alongside their siblings. Initiate some family play. For example, read a story out loud and ask your children to act it out. Or give each child bubbles to blow. Soon your children will see how, with only minor guidelines, play is normal and fun for everyone! A helpful book is “Special Brothers and Sisters.” It’s a collection of real-life accounts from the brothers and sisters of children with special needs. You’ll find caring stories and a lot of good advice. We are now an Easter Seals in-provider network for Kaiser Patients! A is for Apple is now part of the Easter Seals network! Lots of parents have requested our services through Easter Seals. In the past we were unable to take them because we weren’t in-network for them. Now we can take them. Plus, this also opens up our ability to take on children who have Kaiser Insurance. Now, if you have insurance through Kaiser, our ABA therapy services are available to your children. Do you know someone who has Kaiser Insurance and needs help for their child? Have them request A is for Apple through their Easter Seals coordinator. October is here! The month of falling leaves, harvest, and Halloween. October is also one of the biggest months of the year for social events—many of which are well-suited for children with special needs. We encourage you to look at the events coming up, and enjoy what they have to offer you & your child. To help out, we’ve put together a list of Bay Area Harvest Festivals and other Halloween Events this month. Trick-or-treating, hay rides, corn mazes… there are a lot of things to experience in October. Let’s see what we can find. 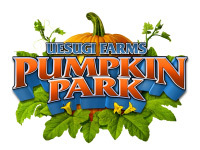 Uesugi Farms’ Pumpkin Park is open 7 days a week. General Admission is free, but some events do need a ticket. Parking fee on weekends. It’s located in San Martin, which is about 30 minutes’ drive south of San Jose. The Pumpkin Park is a BIG harvest event running throughout October. You’ll find giant sunflowers, a petting corral, corn mazes, and several rides (including a “cow train” children love!). There’s a 10% ticket discount for disabled persons & veterans. Uesugi Farms is great for sensory experiences, with lots of straw, pumpkins, animals, etc. Your child can touch the pumpkins, pet the animals, run around and have fun. Every year, the City of Campbell closes the Campbell Avenue streets so children can trick-or-treat among the shops. It’s a safe and fun way for kids to go trick-or-treating. The event is also dog-friendly. This year, the “Downtown Campbell Trick-or-Treat” is held on Friday, October 30, from 5:00 p.m. to 7:00 p.m. There’s a costume contest afterward if your child wants to participate. Downtown Willow Glen also holds a Trick or Treat event on October 30. This is great for parents with young children, or those who live in San Jose and who would prefer staying local. Downtown Willow Glen is closed for the Trick or Treat. Session #1 is held from 11:00 a.m. to 12:30 p.m., intended for toddlers, preschoolers and children in strollers. Session #2 is held from 3:00 p.m. to 4:30 p.m., intended for school-aged kids in costume. There’s no shortage of October events coming up! Here are 3 more in the South Bay. The “Monster Bash” is an event put on by the City of Mountain View. It’s held on Friday, October 30, from 4:00 p.m. to 8:00 p.m. The Monster Bash has games, music, and an outdoor movie. Attendance is free, and everyone’s invited (but remember to bring a blanket and chairs!). This year, the featured movie is “The BoxTrolls.” Costumes are encouraged. Since this is held outdoors, your child might become nervous if they’re scared of open spaces. Spina Farms is located between San Jose and Morgan Hill. The Pumpkin Patch is open during October. Hours are Sunday to Thursday 9:00 a.m. to 6:00 p.m., and Friday to Saturday 9:00 a.m. to 7:00 p.m.
Spina Farms has a wagon ride, train rides, a petting zoo, and of course a big pumpkin patch! Parking and admission are free. The Petting Zoo and Pony Rides are only available on the weekends. On Halloween Night, Happy Hollow in San Jose holds its annual “Trick-or-Treat at the Hollow.” The event is for children ages 2-10. “Treat Stations” are set up throughout the park, so children can safely trick-or-treat and explore the Happy Hollow’s animal exhibits. Like Uesugi Farms, the Happy Hollow is great for a safe sensory experience. Animals big and small, birds, even reptiles in many beautiful colors. Admission is half-price for everyone in costume (children and adults). While 6 events are plenty to have a fun-filled October, your local area may have even more events. Check your city’s website for announcements. You may be surprised how much October fun awaits. We at A is for Apple hope you & your family have a safe and Happy Halloween! The San Francisco Autism Society is hosting an IEP Workshop on Wednesday, October 14. At the workshop, Education Specialist Dianah Marr will give practical information about the IEP process. If you want to know what an IEP (Individualized Education Plan) is, or have questions about them, this workshop will give you answers. It’s free to attend, but space is limited! If you want to attend, please email openingdoorspta@yahoo.com. If your child has sensory issues (sensitive to touch, doesn’t like things on her face or head), start practicing sooner rather than later. First, find a costume the child is comfortable with. Try holding costumes up in the store for them to see and touch, and watch their reaction. Many costumes don’t have masks at all; you can start with those. Next, practice putting on their costume. During the weeks leading up to Halloween, have your child practice putting on their costume several times. Some of our children don’t like things on their faces. Costumes with masks sometimes irritate them. It’s a sensory difficulty, and we must keep this in mind. Practicing helps the child get comfortable with the costume. After that, prepare them for trick-or-treating. For some children, Halloween is a high-anxiety night. To keep them calm and having a good time, do a little preparation beforehand. On Halloween Night, have a trick-or-treating plan. Bring a friend along. Bring flashlights so everyone can see. Set a walking pace your child will comfortably follow. Stop whenever your child feels nervous. Keep an eye out for things you know scare him/her (certain masks, strangers, a big crowd coming up the sidewalk). Need help practicing? Ask your A is for Apple supervisor for assistance. The A is for Apple Website wins a WebAward! Every year, the Web Marketing Association reviews hundreds of new websites. They select the best-quality websites in 96 categories, from Advertising to University, and award them a WebAward. 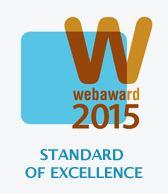 For 2015, AisforAppleInc.com has won the Health Care “Standard of Excellence” WebAward! The whole A is for Apple team put a lot of effort into our website. Working with PlanetMagpie, we intended the new site to function as a complete resource for you, our families. An award is just icing on the cake! Thank you to the Web Marketing Association for this WebAward, and thank you to the A is for Apple therapists & supervisors who helped make it possible.